Crowdsourcing is a distributed problem-solving and production model. In the classic use of the term, problems are broadcast to an unknown group of solvers in the form of an open call for solutions. Users—also known as the crowd—typically form into online communities, and the crowd submits solutions. The crowd also sorts through the solutions, finding the best ones. These best solutions are then owned by the entity that broadcast the problem in the first place—the crowdsourcer—and the winning individuals in the crowd are sometimes rewarded. In some cases, this labor is well compensated, either monetarily, with prizes, or with recognition. In other cases, the only rewards may be kudosor intellectual satisfaction. Crowdsourcing may produce solutions from amateurs or volunteers working in their spare time, or from experts or small businesses which were unknown to the initiating organization. I had a chance to write about crowd-sourcing before. Navigate to one of my previous posts – Marketplaces and Engineering Software or NoPLM and Quirky Social Product Development. Earlier last month, I’ve been reading recent announcements related to Local Motors and SolidEdge Design1. I can see it as a big deal. Navigate to the following article in Develop3D by Al Dean to read his commentary on this. Also, you might be interested to read Evan Yares’ take on this same topic in his post – Siemens PLM and Local Motors. Here is my favorite passage from Evan’s post. While I think the Local Motors deal is interesting, what I find more interesting is the potential Design1 might have in Siemens’ (and its competitors’) major accounts, as a low-cost interstitial CAD tool for use by engineers and others who are not full-time CAD users, or who simply don’t need history-based CAD. I could imagine some companies (particularly large automotive companies) signing up for literally thousands of copies. It could make things pretty interesting in the CAD business. I found another source of ideas looking for GrabCAD presentation during AU2011 last week (Unfortunately, I wasn’t able to attend Hardi’s presentation and ended up to catch it via slideshare version). The connection of GrabCAD to crowd-sourcing services can be interesting because it will require additional tools that can help people to communicate and re-use data. All this, made me think about a potential impact crowdsourcing models can make on PLM software development. Here is the idea, in a nutshell. Design1 is a good start. 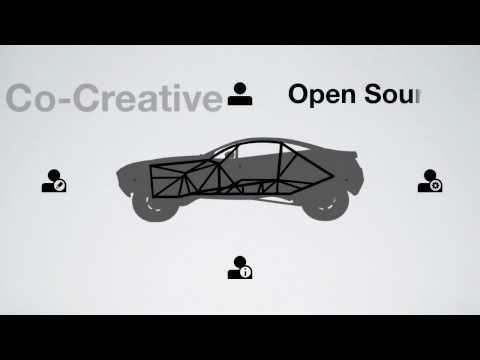 Local Motors needed a cheap CAD tool that can be used by the community of people. The community of people is obviously using the internet as a way to communicate. So, by doing that, one of the biggest concerns of cloud PLM (cloud security) will be dissolved. It means data will flow online anyway. Obviously, the community can be interested in having PLM tools to support data management, communication and processes across the community. What is my conclusion? The power of community is fascinating. It can impact many aspects of software development. Will community be using Google tools or special PLM software dedicate to online usage? It is a good question. What is your take? Speak your mind.